Hey guys! So...I know a lot of us love Target stores. I'm there all the time! There's always a reason for me to go. I went this week and saw all of their new clothes for Fall. Couldn't help but share some noteworthy pieces with you! Some of them looked pretty expensive which is great for us Frugalista's. What a great way to snag up some work wear for less! I usually have to wait till Loft runs sales! Also worth noting. 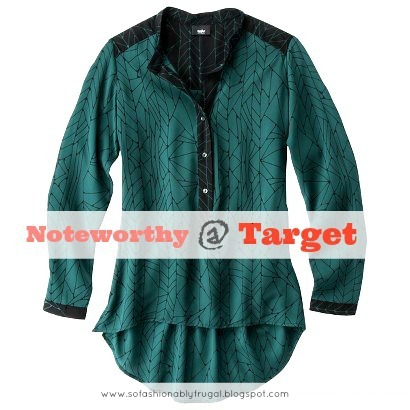 Target's next design collaboration with Phillip Lim is coming up on September 15th! Check out the items at Refinery 29. They show all the items which is great! I so want the animal print skirt like you have no idea.